Yesterday the Wi-Fi alliance announced that its direct peer-to-peer version of the Wi-Fi called WiFi Direct was now available on several new devices. It also said that it was certifying devices for WiFi direct compatibility. A few WiFi cards have already been certified. Some of these are Atheros, Broadcom, Intel, Ralink, Realtek, and Cisco, as well as the Cisco Aironet 1240 Series access points. Edgar Figueroa, CEO of the Wi-Fi alliance said in a statement, “We designed Wi-Fi Direct to unleash a wide variety of applications which require device connections, but do not need the Internet or even a traditional network”. With the Wi-Fi direct protocol, compatible devices can connect in a peer-to-peer fashion or can connect one-to-many fashion to share data with each other. 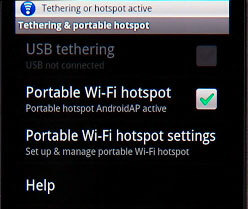 You would not need a gateway or a router to connect to a Wi-Fi device and it would work similar to Bluetooth but only giving out wider range and more speeds. First cross-platform Android-iPhone game launched!